Compatible Platforms - Supports both Session Initiation Protocol (SIP) and Smart Phone Control Protocol (SPCP) with the Cisco Unified Communications 500 Series. Does not include power supply. Part of the Cisco Small Business Pro Series, the SIP- based Cisco SPA501G Basic 8-Line IP Phone has been tested to ensure comprehensive interoperability with equipment from voice over IP (VoIP) infrastructure leaders, enabling service providers to quickly roll out competitive, feature-rich services to their customers.With hundreds of features and configurable service parameters, the Cisco SPA501G addresses the requirements of traditional business users while building on the advantages of IP telephony. Features such as easy station moves and shared line appearances (across local and geographically dispersed locations) are just some of the many advantages of the Cisco SPA501G. The Cisco SPA501G features dual switched ethernet ports with IEEE 802.3af compliant PoE (Power Over Ethernet) support. 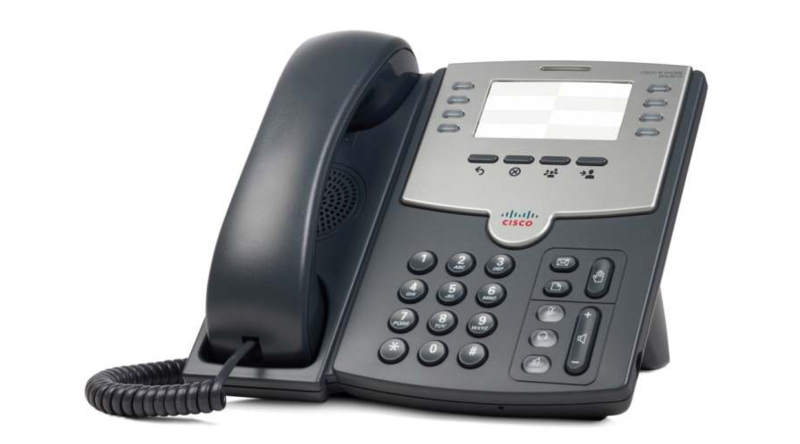 The Cisco SPA501G also features a Message Waiting Indicator Light, 4-way navigation key, and 12 button dial pad, dedicated illuminated buttons for Volume, Hold, Menu settings and Voicemail access. Support 8 lines with paper label, no display. SIP 2.0 support and support for Cisco's proprietary SPCP.